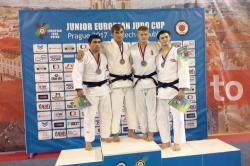 Azerbaijani judo fighters have claimed 13 medals including four golds, five silvers and four bronzes at the Junior European Cup Prague 2017 held in the Czech Republic. The tournament involved 308 fighters from 27 countries. Azerbaijan’s squad included 20 fighters, including five female fighters. 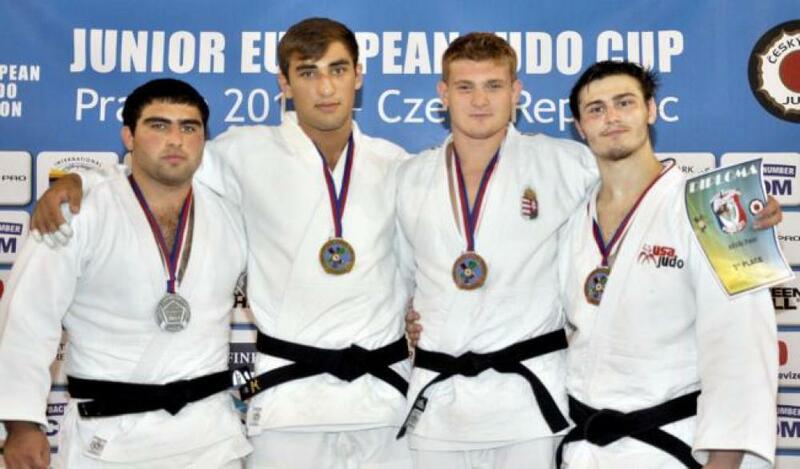 The last day of the prestigious championship was successful for Azerbaijani judokas. Zelim Kotsoyev and Musa Shakaraliyev, who compete in the weight category of 100 kilograms, won all their opponents to reach the final. Gold medals came from Rakhshan Bakhshaliyev (55kg), Ahmad Yusifov (60kg), Zelim Kotsoyev (+100kg) and Nazakat Azizova (women`s 52kg), Azertac reported. Judo is one of the most developed kinds of sport in Azerbaijan, where the National Judo Federation was established in 1972. The Azerbaijani judo fighter, silver medalist of Rio-2016 Summer Olympic Games, Rustam Orujov was named the best in Azerbaijan's male team. Moreover, he is the strongest in the world in his weight class of 73kg, as well as among all weight classes. Next year the country's capital Baku will host the World Judo Championships 2018 among adults.